THE NATURAL HAVEN: Castor Oil : Who uses it? Castor Oil : Who uses it? I went on an oil shopping spree, ended up buying some castor oil but 6 months later it is still just sitting there. I tried to like it but it is odd. I tend to like light easily spreadable oils which you can melt easily in your hands but castor oil is the complete opposite. It is thick, heavy and quite viscous. It also feels quite sticky once applied and sort of just sits there attracting lint. So before I throw this stuff out, can you give me a hint or tip on how you use it? I know that there are plenty of you who love this stuff!! 1. Do you use it straight out of the bottle and if so how do you overcome the viscous nature of it? 2. Do you mix it with another oil and if so what oil? Castor oil was one of my favorite oils before I found coconut oil. My hair is very thick and I found that the thickness of the oil acted as weather proofing in the colder months. I have used it directly from the bottle with no problems before, but I found that a 1:3 ratio of jojoba oil to castor oil lessened the viscosity of the oil. Hope this helps! I use this for my DIY scalp massaging oil. The mixture is: 1 Tbsp Castor oil, 1 Tbsp grapeseed oil, 1 Tbsp sesame oil, 3 drops essential lavendar oil, 3 drops essential rosemary oil and 2 drops eucalyptus oil. I massage this into my scalp before I wash my hair. The grapeseed and sesame oil thin down the castor oil nicely. I could never use just the plain castor oil. I usually use it on my edges (scalp massages to help them grow back) or on my ends to seal ONLY. You only need a tiny amount or else it well get get oily and messy. I like to mix it with a deep conditioner as well and if you're trying to get rid of it, this is how to finish it really quickly! I mix it with jojoba oil 1:3 (castor:jojoba) ratio. This mix is also great for oil cleansing your face. You are right - it is super thick! I use it a few ways.I drop a teaspoon in my shampoo because it's supposed to lift dirt. Some use it to massage their scalp but I have yet to do that yet. I also use it as part of my cleanser I use for my face. Hope that helps! For one, if you have ever considered the Oil Cleansing Method for skin care, castor oil is the business. My personal mix is equal parts castor oil and jojoba oil, which by the way is one of my favorite oils to mix with castor oil. I also mainly use castor oil for oil rinsing, its viscuous nature coming in very handy then. I mix it with either an equal part olive oil, if I want to keep the mixture pretty thick or with an equal part jojoba oil if I want a thinner oil rinse. I also use castor oil to seal my ends when styling my hair. Again, that thickness comess in handy. Lastly, castor oil can be massaged into the scalp to help thicken hair, and again you can mix with another oil to thin in out. Other than jojoba oil, grapeseed oil is a great thinner for castor oil. Oh yeah, one more thing. Adding castor oil to conditioner gives it more of a moisture punch. Hope this helped. I actually love how castor oil softens my kinks and seals in moisture. I used it with Olive Oil or with Coconut Oil to 'dilute' it at a ratio of 1:3, 3 being Castor Oil and 1 any other oil... I just eyeball the quantities. I use it straight out of the bottle on damp hair to do my twists. I find that the water in the hair makes the oil much more easy to distribute, less sticky and it absorbs well. It's become my favorite twist oil. Ladies you are all amazing! I was struggling with this oil for ages when I should have just asked you for help already!! I wish I could say it did something more than any other oil I have used... but I can't. I love castor oil! I use it mixed with coconut oil for cleaning my face, as an oil rinse in the Winter between shampooing and conditioning, and finally dab a bit in my hair before going into the shower to let it steam in during the mid-week. It makes my kinks very soft and keeps them well-moisturized. Doesn't hurt that it's as cheap as chips either! A dab'll do ya! I literally use a "dab" on a very large section. It's especially great in the winter. I sometimes dilute it in water sprays if I'm detangling, but I mostly use it out of the bottle or with olive oil. I bought castor oil once and under my bathroom sink it sits today. When I did use it, I deduced that it is too heavy for my hair and I did not like how it made my hair feel after I used it. Sometimes, I will mix a little with my body lotion and rub it into my feet...smooooth! I use Castor Oil for OCM, oil rinsing, and sealing. Dont throw it out. If you have a belly ache, take a tsp! Haha. I use JBCO on my scalp without mixing it with other oils. In order to make it easier to use, I put it into one of those conditioning bottles from Sally Beauty Supply with the long tip. This way the oil only gets to my scalp and not on my hair. HTH! I mix it with a conditioner, glycerin, aloe vera gel and water for my leave in. It works wonders with keeping my twists moisturized. I've used it directly out of the bottle for my hair in the winter. It can be a bit thick. When I travel I have a trial size bottle of it in my toiletry bag. I can mix it with the hotel conditioner and water for a leave in or mix it in with the conditioner for a DC. It is a mutli-tasker. 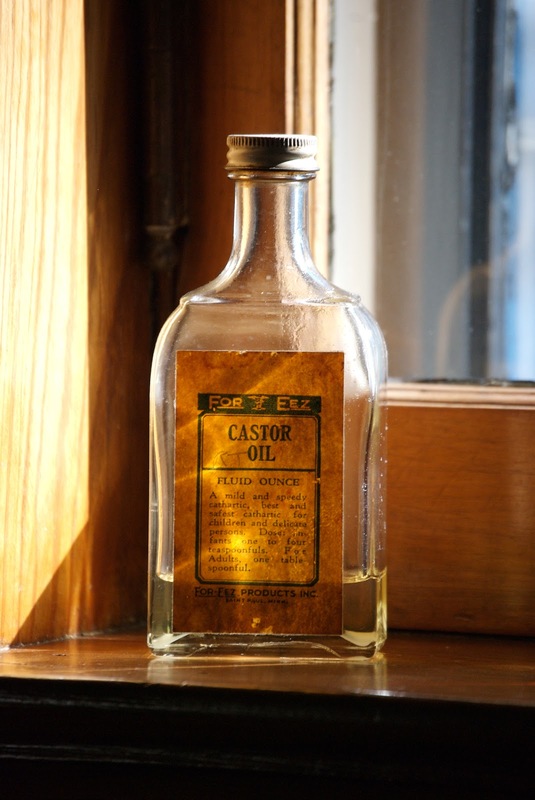 We've always had castor oil around our home. I've used it on my body to get rid of dry patches and skin irritations. It clears my eczema. It is a great skin conditioner. I know a lot of people add it to their shampoos and conditioners. I DC with it sometimes and I mix it with coconut and olive oil for pre-pooing. It might be a good oil to do an overnight treatment with and then wash out in the morning. I love castor oil! I mix a small amount (nickle size) in with my shampoo if I don't want it to be too "cleansing" but I want more than a co-wash. I also use it to seal when I style on wet hair, but I usually only do this in the WINTER. It keeps my hair soft and moisturized. I agree with Ronnie, the water makes it easier to use. These are all great suggestions. When I first bought castor oil, I couldn't understand at all how so many ladies were able to use it straight out of the bottle! That doesn't work for me AT ALL. My hair breaks easily just from normal manipulation and mechanical damage, so the heaviness from applying the viscous castor oil to my fine strands was doing way more harm than good! Lots of little broken strands on my hands, after that. I agree with the suggestions to mix it with other oils (I like coconut, usually somewhere between a 2:1 and 4:1 ratio of coconut:castor), as well as the suggestion to add it to conditioner. I also tried it for oil cleansing for a couple of months, but I found that my face started springing up with little hairs here and there! I was skeptical about it before, but after that experience, maybe there actually is some truth to the anecdotes about castor oil promoting cell division/growth. I stopped using it on my face, after that happened! This comment is relevant if you mix shea butter. But I find it to work in my shea butter mixes. I hope this helps. I mix my JBCO with Argon oil. No frizzies and hair holds moisture better...imho. I LOVE CASTOR OIL! I agree with Ronnie, I apply it to my damp twists or hair. I never apply it without wetting my hair a bit first. I also like to use it as a sealant after I wash my hair. It is the only oil I use, and really holds moisture in my hair. Good luck! I bought some and gave it away at a product swap. It was just too thick to work into my regimen. I agree with Ronnie (although I only discovered that recently). I also use it on my edges and when I decide to use the oil cleansing method for my face. Super advice. Mine is sitting thick and sticky (and dusty) on the shelf. Will be mixing on Sunday. Thanks for the question and the answers!! I use it to seal and have been exclusively since starting my hair recovery. I rub it really fast until warm and ditribute it through my hair.It is thick but my hair like sit. It seals very well indeed. I felt the same way when I first tried castor oil until I tried it and noticed how much it smoothed out my frizzy ends. I think its one of the best oils for your ends to seal in moisture especially for twist and similar styles. It seems to act as some type of protective barrier from the outside elements being that its so very thick because it definitely coats my ends while keeping them very smooth and soft. It also blends really well with other products. I like to mix it with coconut oil or olive oil and put it on prior to shampooing. Sometimes I warm it up. If I have been bad with my hair in a particular month I will use straight castor oil from the bottle. I never leave it on my scalp though. Girl I love castor oil! It makes for such a great sealant. You just have to dilute it with another oil. I use a mix of 30% castor oil and 70% whatever-other-oils-I-feel-like-mixing. I massage my scalp with JBCO and sit for at least 30 minutes before I shampoo. At times, I add a teaspoon or so to my deep conditioning mixes. I think I have seen less shedding or maybe I am just imagining it. I don't know. I bought Jamaican Black Castor Oil and used it on its own on my scalp. Resulted in a lot of itchiness. I don't know why. I later tried mixing it with Jojoba since I find it to be too light sometimes esp in winter and it helped some, I add some rosemary essential oil and that helps with itching. I'm still struggling to find something that will work 100%. I still have some left in my cabinet. I use it straight from the bottle on my scalp. My scalp does not itch - could be due to so many factors including drinking nettle/horsetail/rosemary/moringa tea. You need to mix castor oil with a light oil such as grapeseed or sweet almond oil. I use it as the base 25% of my home made scalp oil with coconut oil, jojoba and sweet almond oil I add lots of herbs like dried rosemary and peppermint and leave it to infuse for at least a month. This way you can enjoy castor oil. I know people rave about JBCO but after obsessing for a few months about finding an economically priced sourced I eventually gave up on it as when I finally found it in the flesh it appeared to be no different from plain old castor oil. I must admit it can be off putting but it is sooo effective. I use it in my modified Kimmay Tube mix. (HEHH,Castor Oil,EVOO n Aloe Vera Gel). i use it straight out of the bottle works great for defining my curls, which means i can skip the gel and it seals in moisture like no other. I also mix it in with my oilive oil for a normal use. All the good things that the other ladies said! To clarify a point that another poster made: If you are constipated, a tablespoon or two of castor oil will put you back to rights. I wouödn't use it for any old belly ache, as this is some powerful stuff. When I was growing up, my gran used to give us Castor Oil as a 'wash out' before going back to school. And here in Germany, Castor Oil is used to gently induce labour for over-term babies. First i´ve to say: thank you so much for all! I use castor oil for all... hair, skin and body... I love it! It´s the best oil for wrinkles all the time... by the way! Isn't castor oil dangerous in the production stage to the people who work directly with the castor beans and the process of extracting the oil? Awesome post. Thanks to everyone for the great suggestions. I use use castor oil for my edges and ends. After moisturizing and braiding/twisting damp hair, I apply castor oil to my edges and ends. I keeps them smooth and soft. I also do a super moisturizing aloe vera gel/castor oil pre-poo. I'm so glad I stumbled onto this site. I have added it to my shea mix, use it as a spritz for moisturizing (Jojoba & castor and aloe vera gel). Also use it mixed with rosemary, lavendar & jojoba and apply to edges and massage it directly on my scalp. I see a great change in my hair. Love it. Best keep secret. am using cocunut +olive+almond oil together for my hair.Can i add sesami oil and jojoba oil to it?. I afraid adding too many oil's may damage my hair. How do you wash fhe castor oil out? Can you CO wash it out? Guys does it matter which castor oil u use, i.e whether the black jamaican castor oil or the clear castor oil from the chemist, would you get the same results if u use either? Personally I have not seen significant differences between either. JBCO appears to be thicker and have a stronger nuttier scent to it. Okay I felt the exact same way about castor oil as well, I was like why do people like this stuff? Then I realized that it is best used as a sealant. It can be mixed with another oil (preferably a lighter one like jojoba or coconut)and used to seal your ends in particular or to lock in a water based leave in. its so thick that it will significantly reduce the amount of times in the week you will need to reapply moisture. 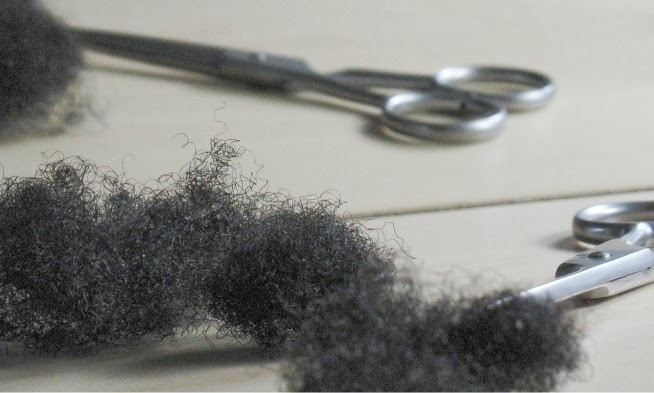 However I must state this with the caveat that your hair may just not like it, particularly if you have loose fine coils that are weighed down easily. is it possible to mix; coconut, castor, rosemary, sweet almond and olive oil together? or will it be damaging the scalp than helping it? As long as the mix does not irritate you it should be fine.